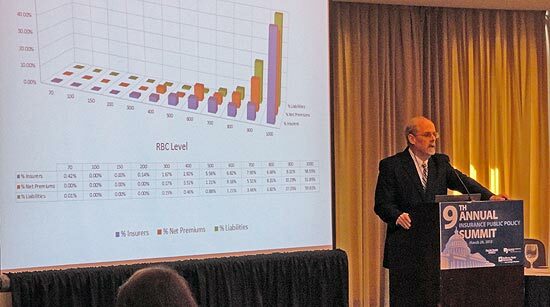 The insurance regulatory system is evolving and there is still significant uncertainty as we await the Federal Insurance Office (FIO) report. 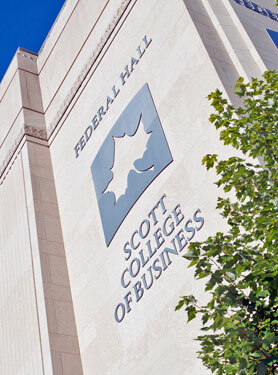 The "too-big-to-fail" and insurance capital requirement debates continue and concerns about sequestration abound. 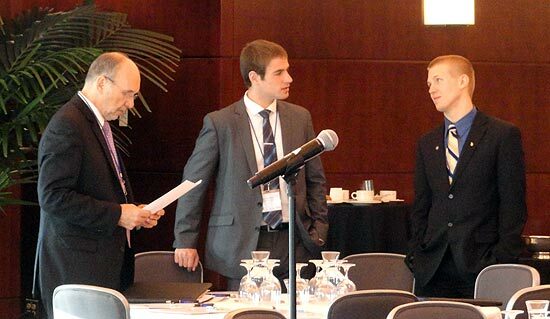 Over 125 insurance leaders representing various segments of the industry were in attendance alongside leading academics. Dr. Daniel J. Bradley, President of Indiana State University with Logan Mendenhall, Gongaware Scholar, Class of 2014 who is majoring in Financial Services and Eric Barber, Networks Scholar, Class of 2015 who is majoring in Business Administration. 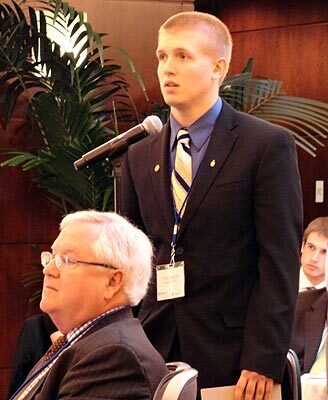 Networks Scholar, Eric Barber, asks a question of Congressman Blaine Leutkemeyer (R-MO). Dr. Martin Grace, James S. Kemper Professor of Risk Management and Insurance; Chair, Georgia State University and Networks Financial Institute Senior Fellow addresses the assembly. 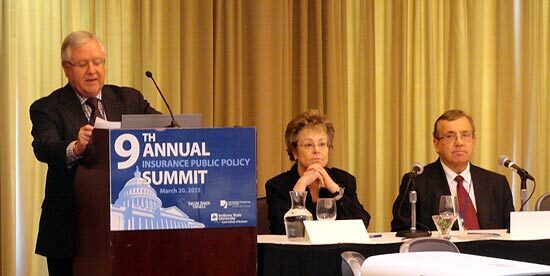 A view of the industry and thought leaders who attended the 9th Annual Insurance Public Policy Summit. Charlie Richardson of Faegre Baker Daniels LLP introducing panelists Kimberly O. Dorgan, Senior Executive Vice President, Public Policy, ACLI; Brady Kelley, Executive Director, NAPSLO; Leigh Ann Pusey, President and CEO, AIA and David A. Sampson, President and CEO, PCI. 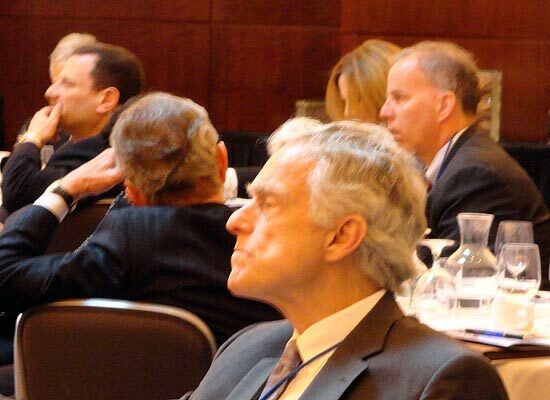 Among the attendees was Roy Woodall, member of the Financial Stability Oversight Council. 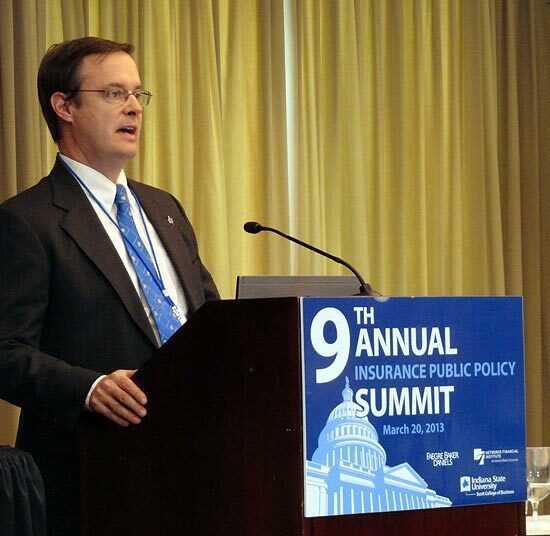 He was a speaker at the 2012 Annual Insurance Public Policy Summit. 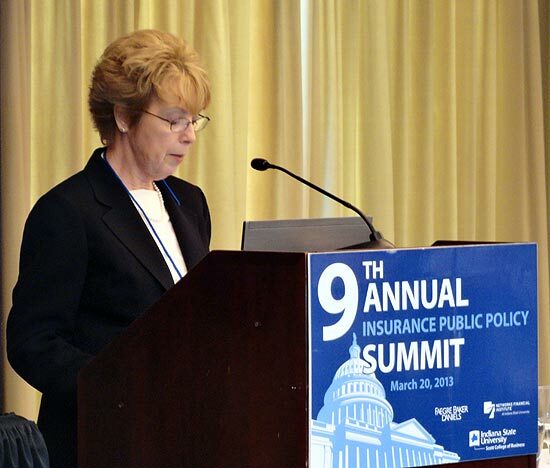 Monica Lindeen, Commissioner of Securities and Insurance, Montana State Auditor; NAIC Vice President and Representative on the Federal Advisory Council on Insurance. Dr. Jack Tatom introduces Dr. Mary A. Weiss, Deaver Professor of Risk, Insurance and Healthcare Management, Fox School of Business, Temple University and Dr. J. David Cummins, Joseph E. Boettner Professor of Risk, Insurance and Financial Institutions, Fox School of Business, Temple University. 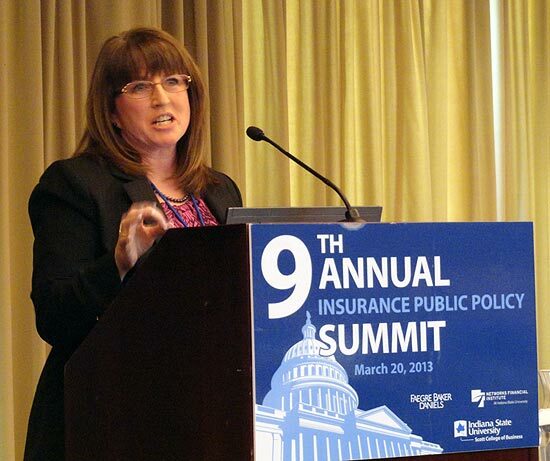 Elizabeth Sammis, Senior Insurance Regulatory Policy Analyst, Federal Insurance Office. Dr. Brien Smith, Acting Executive Director of Networks Financial Institute, and Dean of the Scott College of Business, Indiana State University giving his closing remarks to the assembly.